SupportDesk’s Service Desk Knowledge Base function enables known errors and solutions to be stored. Details of the Problem, Resolution, Workaround and relevant Keywords can be entered into each KnowledgBase article, with links to additional information such as on-line manuals and guides. a Call:- it is possible to create a KnowledgeBase item directly from a service desk call. Clicking the Add to KBase button transfers the user to the Knowledge Management Entry form, with keyword, problem and solution text copied directly across. 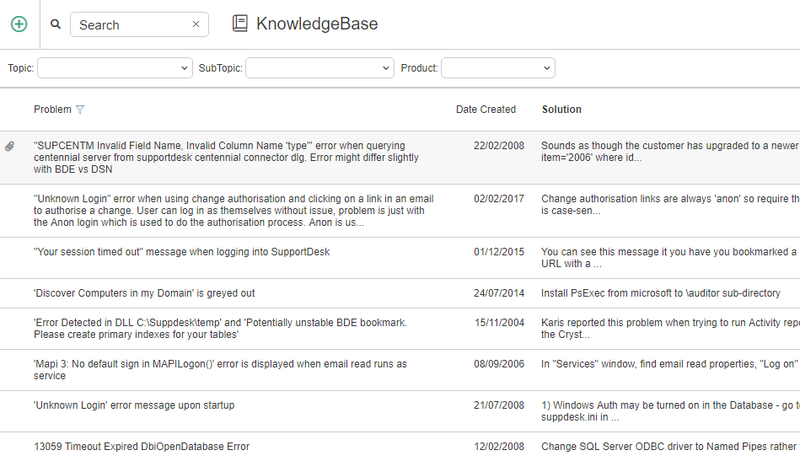 Knowledge Base articles can be searched directly whilst logging Incidents, Problems, Changes, Requests etc. in the service desk. 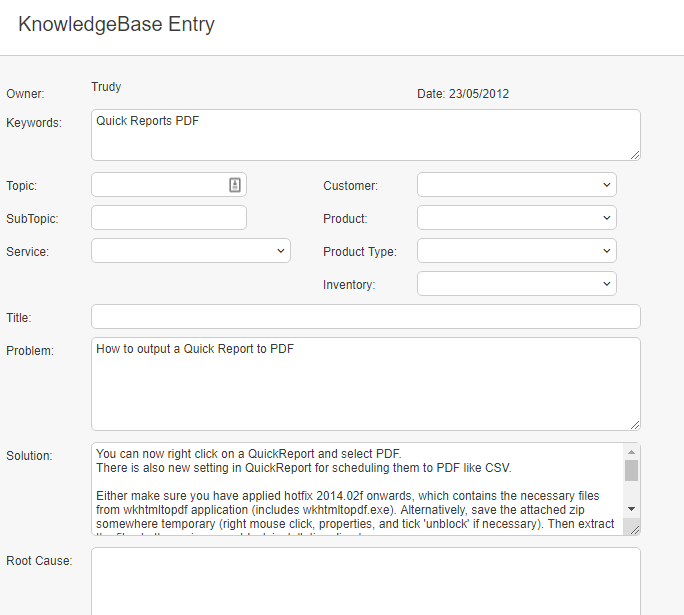 The Knowledge Base is filtered based on the Keywords entered in the Subject field on calls. Solutions can be copied across from the KnowledgeBase directly. KnowedgeBase articles can also be made visible to Customers on the web self-service portal as Frequently Asked Questions, which can be voted on. Please note that by providing your email address we assume that you wish to be kept informed of SupportDesk related news and offerings. If this is not the case, please email us at support@houseonthehill.com and we will ensure that your email addess is removed from our contact list. Your email address will not be forwarded to any other parties.